However, the British-owned distributor for Tesco Ireland has said it has received strong feedback that its workers do not want to take industrial action. SIPTU MEMBERS AT transport company Eddie Stobart are due to take further industrial action tomorrow over grievances about working hours and health and safety issues. This will be the drivers second work stoppage following what the union calls the haulier’s “continued refusal” to engage with representatives. The industrial action will involve a 24-hour work stoppage from 8am tomorrow and an official picket at the Ballymun depot used by the distributor. Tesco is one of Stobart’s biggest customer’s and the Ballymun depot is involved in the delivery of goods to its stores across Ireland. SIPTU sector organiser Karan O’Loughlin said that it was disappointing that Eddie Stobart made no efforts to engage in talks. “This inaction on the company’s part is leaving the drivers with no alternative but to engage in a second industrial action in order to highlight their grievances,” she said. Eddie Stobart claims, however, that the majority of drivers do not support this – or previous – industrial actions. “Drivers have indicated their intention to work and we want to ensure our customers that all commitments will be met in full,” the company said in a statement to TheJournal.ie. “The ongoing direct engagement between the company, driver representatives and SIPTU’s own local representative continues to work positively and we remain committed to this approach,” it said, adding that the union’s claims about safety standards are “misleading” and “not supported by the facts”. Email “Updated: Eddie Stobart drivers in 24-hour strike”. 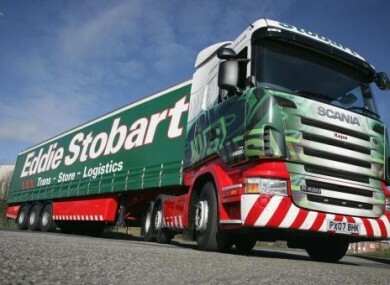 Feedback on “Updated: Eddie Stobart drivers in 24-hour strike”.